Guten Tag! 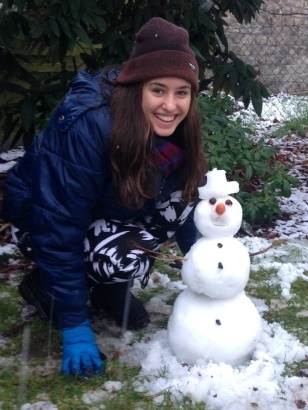 My name is Athena Stein and I’m from Ormiston College. Over the 2014/2015 Christmas holidays, I was fortunate enough to partake in an amazing SAGSE exchange to Germany for 6 weeks. I stayed with the Müller family in Griesheim, a small town near to Frankfurt in the southern state of Hessen. Altogether, 17 students from schools across Brisbane participated in the exchange program. Our experience began in July 2014, when we excitedly picked up our German exchange students from Brisbane airport. For 6 weeks the Germans stayed with us, learning about the Australian way of life and attending school. After developing close bonds, we were only counting down the days until it was our turn to board a plane to Germany and once again be reunited for our own experience in Germany! Despite being extremely nervous, upon arrival in Frankfurt I quickly settled into German life. My host family were extremely welcoming, and ensured that I always felt at home. For the first two weeks I attended school, which was extremely interesting. My favourite part was making new friends and helping in English classes across various grades. The students were always so interested in my Australian life, and were extremely eager to test out their English (as I was to test out my German!). On a couple of days when my host sister was unwell, I was even left to travel to school by myself, which was scary at first (I almost took the bus in the wrong direction and nearly missed the tram! ), but it was one of the many experiences that increased my confidence and independence. In the snow with my host family. The 8 day bus tour was another major highlight of my trip. Reunited with my Australian friends, we travelled to Nürnberg, Munich, Salzburg, and Rothenburg ob der Tauber. This involved visiting many Christmas markets and museums, as well as a sobering visit to the Dachau concentration camp, which provided an important insight into German history. Then, it was finally Christmas time! With Christmas celebrations lasting over three days, there was lots of food and gift giving. Something that really stood out for me, was walking to a Christmas tree shop, spending a considerable amount of time picking out the perfect tree, and carrying it through the streets, all the way home! A couple of days after Christmas it even snowed, prompting my host family to take me to the mountains for some sledding! 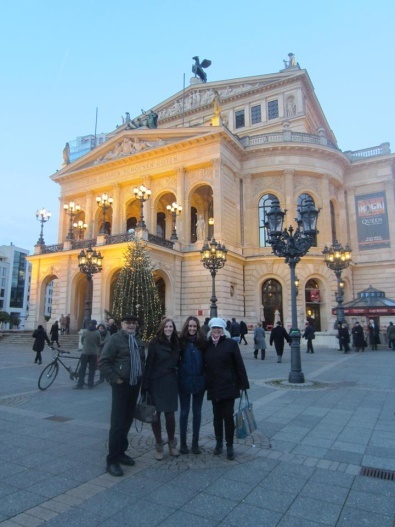 As a Christmas present, my host family also took me on a three day trip to Berlin, for which I am so grateful. 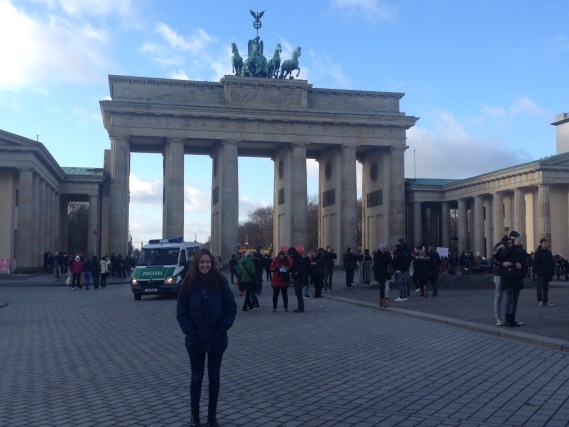 It was an amazing experience, and I saw so many landmarks and historical sites (and ate more food!). 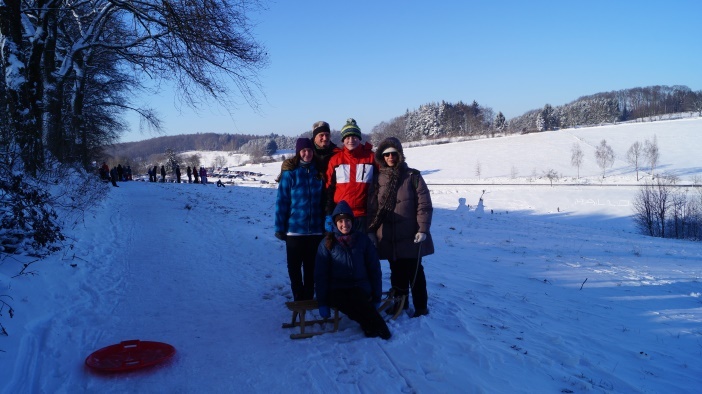 My lovely host family was also flexible enough to allow me to spend some time with some relatives and family friends who live in Germany, which only made the experience even better. Looking back, I had an amazing time in Germany, and I am definitely saving up to be able to return as soon as possible! I would highly recommend this experience to anyone, regardless of their German ability. Of course, none of this would have been possible without the work of Linda Mains and Ron Anderson. I feel so privileged that they were able to take me on board!